Emily and Dan are getting married in November and I was so excited we were able to schedule a time for their engagement session while they were visiting for vendor meetings! 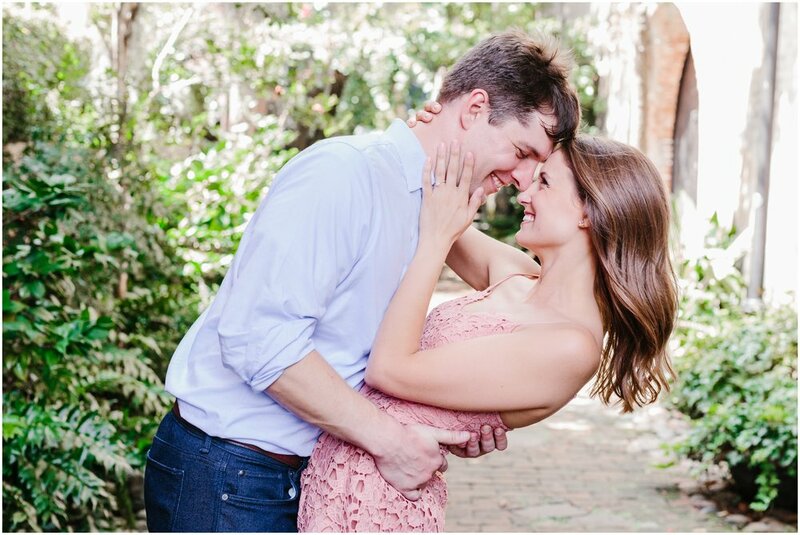 We chose to utilize the French Quarter area of Charleston, SC and I’m so glad we did! Funny story…before their engagement session, I attended the Not So Basic Brunch event earlier in the morning. After the brunch I stopped at a nearby gas station to change out into comfy clothes. I ended up getting locked in the bathroom! The door jammed and I seriously thought I wasn’t going to make it in time. It took a good 5-10 minutes for the gas station attendant to pry the door open…talk about freaking out! I don’t like gas station bathrooms to begin with, but to be stuck in one, wholly cow I was on the verge of a panic attack AND I left my phone in my car. However, it did make for a funny story during our time together and I definitely learned my lesson…pay more attention to signage and to stay away from gas station bathroom’s! 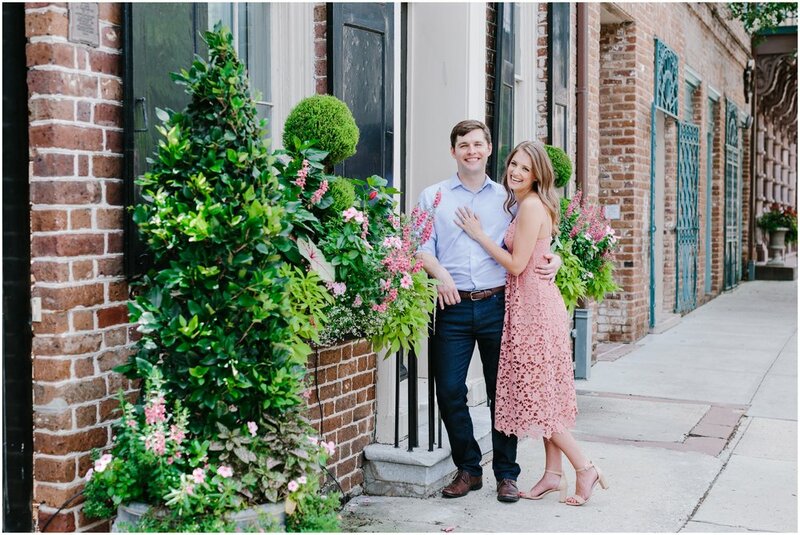 I can’t wait for their wedding at The Gadsden House with Bouquets + Bowties…it’s going to AH-mazing and so romantic and intimate with their closest friends and family.